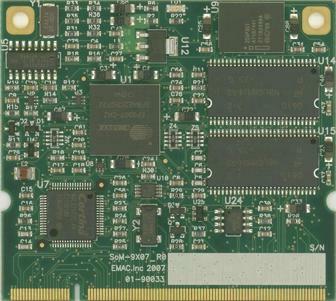 The SoM-9307M is an ARM System-on-Module (SOM) type Single Board Computer (SBC) based on the Cirrus ARM9 EP9307 processor. 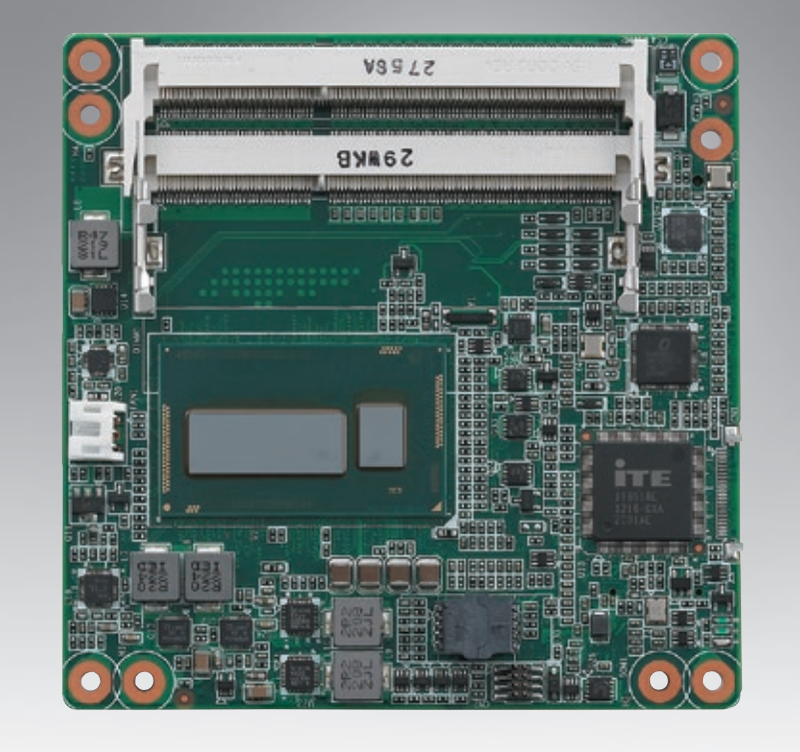 This ARM9 core processor has an Ethernet MAC built-in along with 3 serial ports. It utilizes external SDRAM and includes MMU which allows it to run Linux Operating System. A SoM (System on Module) is a small embedded module that contains the core of a microprocessor system. 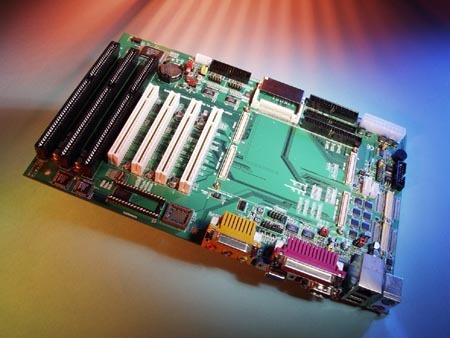 The SoM-DB4400 is versatile SoM Carrier/Socket board ideal for evaluation and early development work. This Carrier is designed to work with all ETX type SOMs. The SoM-DB4400 provides access to all the SoM's I/O through on-board connectors. Although a good deal of customers will want a Carrier that is unique and is designed specifically for their application, the SoM-DB4400 when coupled with a ETX SoM makes for a nice ATX compatible embedded PC. 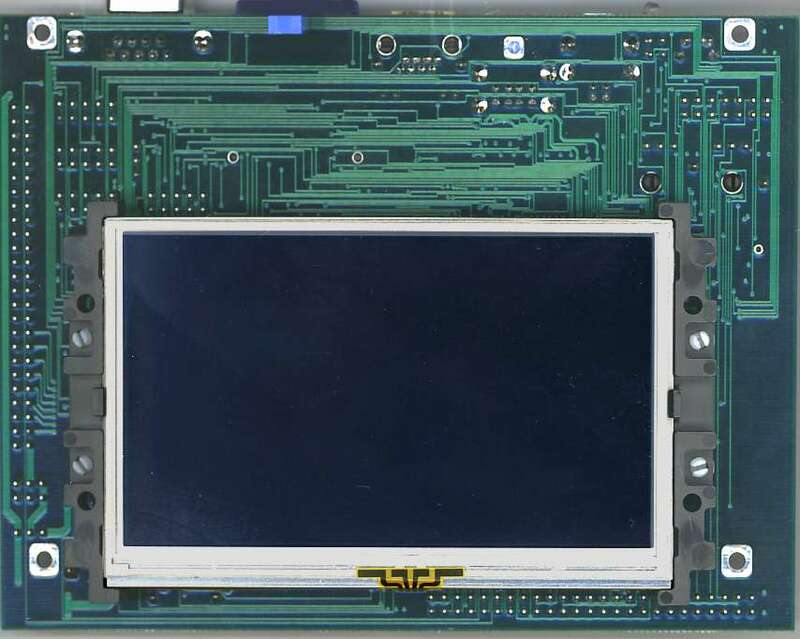 When a unique Custom Carrier Board is required, the amount of design work required is greatly minimized by the SoM approach. The custom Carrier designer does not have to worry about the processor, memory, and standard I/O functions and can concentrate on the I/O and dimensional aspects required for the application. In situations where a custom Carrier is required but the customer does not have the capability to design such a board in-house, EMAC's Custom to Order Services (COS) can be utilized. Using COS, the customer can select from a library of standard I/O blocks. These blocks can be put together quickly into a form-factor of the customer's choosing, providing prototypes in as little as 30 days.